All Haj and Umrah pilgrims are required to process the travel application through a licensed operator only. One can check the UAE's General Authority of Islamic Affairs and Endowments (Awqaf) to verify and find these licensed operators. Also, as the quota of Haj pilgrims is limited, it is advisable to book in advance. The tour operator will apply for a visa on behalf of the pilgrim after which the Ministry of Haj and Umra in Kingdom of Saudi Arabia will issue the visa. Haj visas are issued from mid Shawwal until 25th day of the month of Dhu Al Qadah, and are valid until 15th day of the month of Muharram. Besides, the Haj visas are valid only for the holy cities of Makkah and Madinah. Women who are aged below 45 years will have to show proof of Mahram (accompaniment of a male relative) to get the visa. The tour operator will book flights tickets and hotel for the pilgrim. The cost of Haj and Umrah package may vary depending upon the grade of accommodation and services, proximity to the Holy Mosque, mode of transportation and airline travel class. t is mandatory for pilgrimage operators to provide pilgrims with suitable residence licensed by the Ministry of Haj and the Civil Defence in the KSA. Besides, the accommodation should conform to the standard set by the authorities in terms of quality, hygiene, age of buildings, accessibility and capacity. Pilgrims should take necessary vaccinations before traveling for at least 15 days, as one of the most important ways to prevent infectious diseases. Elderly people aged 60 years and above, chronically ill, children and pregnant women, and those with HIV are advised to postpone Haj or Umrah this year for their safety. They also said that children participating in Haj should be up-to-date with their basic vaccinations. If any symptoms of respiratory infection are observed 14 days after returning from Haj or Umrah, visit the nearest health centre. 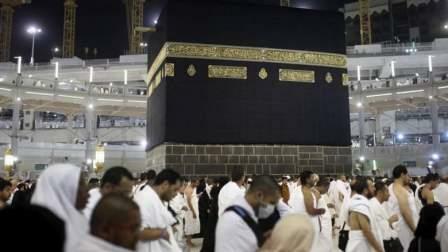 Pilgrims and tour operators will have to sign a contract from the Department of Haj and Umrah at Awqaf. In case of any dispute, a complaint can be filed at the Department of Haj and Umrah or with Complaints Committee of the official Haj delegation. GCC nationals and UAE expatriate residents can enter the Saudi Arabia by roadways; though, as a group with travelling through the tour operator. Your tour operator is obliged to provide you detailed information about the modes of transportation. Department of Haj and Umrah at the General Authority of Islamic Affairs and Endowments (Awqaf) of the UAE is responsible for establishing and reinforcing regulations with regard to contractors operating Haj and Umrah tours and pilgrims' affairs. The Official Haj Delegation of the UAE is responsible to look after the affairs of UAE pilgrims in the Saudi Arabia. Key services provided by the Official Haj Delegation include preaching, providing free healthcare services, preparing for contingencies and conducting inspections at pilgrim accommodations in holy cities Makkah, Madinah, Mina and Arafat. Islamic Affairs and Charitable Activities Department in Dubai and Sharjah Islamic Affairs in Sharjah coordinate with the federal Awqaf. Ministry of Haj and Umra is responsible for pilgrims' affairs. It offers many eServices for pilgrims of Haj and Umrah. GCC nationals do not need a visa to travel to the Saudi Arabia; however, they must obtain the official Haj permit to enter the Saudi Arabia. This entitles them to the 'express Haj' packages where pilgrims arrive in the holy city of Makkah right before rituals begin and return promptly after they end. The package can be arranged through Haj tour operators. These organisations offer free Haj travel to those who cannot afford, the elderly, widowed and divorced women and those whose applications were not approved in the previous years. In addition, applicants should not have performed Haj previously and should be over 40 years old.